Matching your vocabulary to your interlocutor is one of the elementary techniques in the art of persuasion. Online marketing is no different. The most effective marketers can communicate with particular customer groups in online domains natural to them, and use their language. They are the polyglots of marketing. In a 2008 survey in the UK 80 % of the consumers, asked about what they expected from their phones, answered that they wanted their phone to make calls and send texts. Nowadays their expectations are significantly higher. 80% of the worlds consumers now own smartphones and use their advanced features. This exemplifies how fast and profound the changes are in the field of communication. As a result, the ways we access consumers have also evolved. The Zenith report concluded that in 2017 the time spent on watching videos on tablets and smartphones has become 35 times longer than it was when the previous report was conducted, therefore sums spent on video ads went up by 23%. Regardless of their age, the modern consumer is very demanding. They have almost unlimited access to information, which allows them to easily verify and compare offers. They are more aware than in the year 2008, so they expect more from service providers and salesmen. Moreover, they are pampered and demand more „online care”. What they perceive as care however, is the result of the increasingly more effective marketing strategies which now incorporate a multitude of variables, enabling personalised sales. The key element is crafting a message that meets the needs and expectations of the targeted age group – this is known as personalised sales, distributing adequately formed messages in the right places, and using tools customised for the targeted age group. The most important consumer groups for the hotel industry are: Baby Boomers, Millenials and Generation Z. The success of any marketing campaign (the percentage of bookings made) depends on our ability to create personalised offers that reach customers from all these age groups individually. Who are the consumers in these age groups and what do they expect from hotels? Baby Boomers (Generation Y) are active seniors: healthy, looking for interesting ways to spend their free time, wealthy, traveling for pleasure or to have quality time with their families (children and grandchildren). The Millenials (Generation X) are their offspring – at the peak of their careers, busy, with little time for their families, but mobile, curious about the world and eager to travel. Generation Z are Millenials’ children, and they are still a mystery to us. Smartphones are their natural habitat. When they’re not busy with school and facultative classes, they are using their smartphones for fun and as the main tool for communication. In order to effectively personalise an offer for a particular age group, one needs to know that age group – first and foremost, find out which hotel features they find attractive, then customise the marketing tools and messages accordingly. For the „grandparent” generation, access to the most important attractions in the hotel and its surrounding area is relevant. They are eager to sightsee, learn fun facts about the region and actively spend their time. Recommendations for available activities during their stay are sure to draw their attention. They also value comprehensive customer service, so they naturally tend to purchase full stay packets. They are respondent to: TV ads which focus on the wide range of attractions in the hotel and the surrounding area, browser ads which include key-words correspondent with their expectations, and social media campaigns. Regardless of the communication chanel, the messages should include the group’s preferences in terms of the offer and the stay itself. The Baby Boomers’ busy children, the Millenials – they expect clear messages and special offers, which they eagerly take advantage of (they value brands which offer bonuses). They also like to read customer reviews of the hotel online. They don’t have much time, so they want the booking process to be easy and the website to be user friendly and available for mobile phones. They are quick to make decisions, but they want to be rewarded for it. A discount or another benefit for making a direct booking will convince them and quickly make them loyal customers. They often subscribe for newsletters and loyalty programs, expecting benefits and better offers. Dynamic remarketing is a very effective method of reaching this group. Advertising in Metasearch and Google Hotel Ads (in Poland available only with Profitroom) is most effective. Some of the greatest advantages of Google Hotel Ads are: displaying the ad and enabling bookings directly from Google’s browser (in Google Maps or business cards). Using benefits-focused ads on YouTube (video) or Gmail sponsored campaigns, is a good communication tactic for reaching Millenials. Generation Z must not be ignored as a target group, even though the majority of them are still underaged. 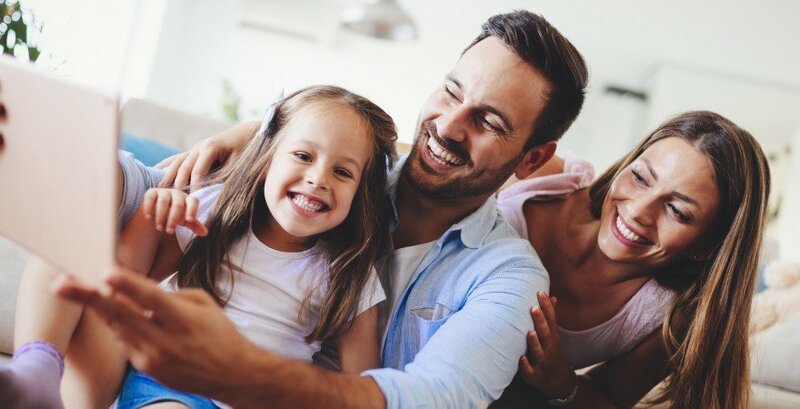 Euromonitor’s data indicates that in Europe 77% of children under the age of 11 have total control over their parents’ purchases, so convincing them might bring quantifiable results. They need to be impressed however. The web-page is relevant here – it needs to stand out from intermediaries and competitors, and invite kids to browse it, with high quality pictures and videos. Online visibility is also important and achievable through social media activity for example. Generation Z uses social media a lot, so it’s crucial to integrate these channels with the brand. They value personalised messages and authenticity, so „backstage” materials are very effective. They are also easily influenced by other people – the right influencer can convince a „Z-kid” to make a booking without breaking a sweat. YouTube, Gmail and social media (Instagram, Snapchat or Facebook) campaigns are also very effective. Getting the consumers’ attention and convincing them to make a booking is only just the beginning though. In reality „Customer journey” encompasses: the moment of inspiration, the search, making a choice, the stay and – that, which is often neglected – the memories (when the customers share their impressions and opinions). The right communication in terms of tools and form, customised for each of the consumer groups is indispensable in this journey. In the times od personalised sales, the actions undertaken for each one of the steps in this journey, need to be carefully considered, planned and conducted. Each industry is different, which is why it’s best to entrust marketing communication to specialists.